Reverse Osmosis - exceptional water for coffee. 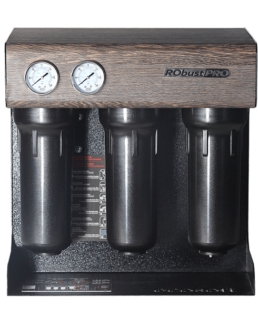 A compact high-capacity reverse osmosis unit for use in preparing barista coffee and other hot beverages. 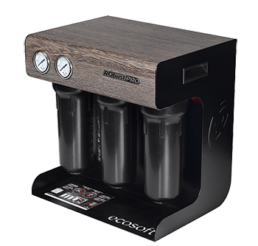 Its multi-stage filtration system purifies water and enriches it with minerals essential for perfect coffee taste and aroma. 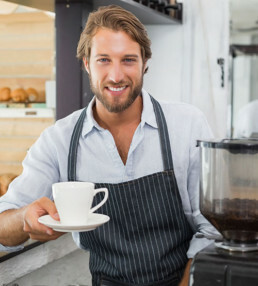 Reverse Osmosis Units are particularly cost-effective for baristas with extremely hard or variable water quality, who need volumes of treated water. RO offers a viable alternative to filters, calcium treatment units and demineralisation systems. Output: 55-60 litres per hour. RO will typically remove 97% of all dissolved solids and materials from the water including hardness minerals and chlorides. 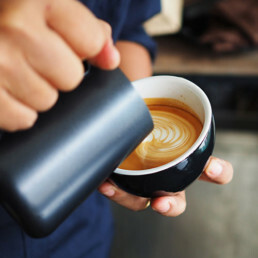 For coffee, removing most of the dissolved solids from the water, allows baristas to start with a blank sheet of paper and ‘dial’ back in the required level of minerals to achieve unique results for the perfect espresso coffee experience. Despite popular misconception, Reverse Osmosis Units are extremely cost-effective over an operational life-cycle for the professional caterer. It provides reliable and consistent results when faced with variable or aggressive water quality. 1/ Pre-filtration removes sediment impurities, and organic compounds. 2/ Reverse osmosis membrane eliminates 99.8% of dissolved impurities, viruses and bacteria. 3/ Allows water with a small content of magnesium and calcium back, to enhance coffee flavour and aroma. 4/ Post-filtration by activated carbon improves the taste and odour of water.